What is the Marian Regional Medical Center Foundation? The Marian Foundation is a not-for-profit organization that supports patient care programs and services, the acquisition of advanced equipment and technology, medical education, and community outreach at Marian Regional Medical Center. The Marian Foundation funds programs that the medical center might otherwise not be able to afford, including care for those in need. Gifts to the Marian Foundation are tax-deductible as allowed by state and federal law. How can I make a gift to the foundation? You can make a one-time gift to the Foundation or, if you are an employee of the hospital, you can spread your gift out through payroll deduction. You are welcome to make a donation online by clicking the Donate Now button or you can mail your gift to the Marian Foundation at 1400 East Church Street, Santa Maria, CA 93454. How are contributions to the Foundation allocated? Each spring, the Foundation accept requests for funding from departments throughout the medical center. After a careful review, the Foundation Board of Directors, working with hospital leadership, makes funding allocations. What kinds of programs and services are funded? Benefactors are recognized in the Marian Foundation’s annual Innovation magazine. The Marian Foundation is more than happy to assist you with any questions. 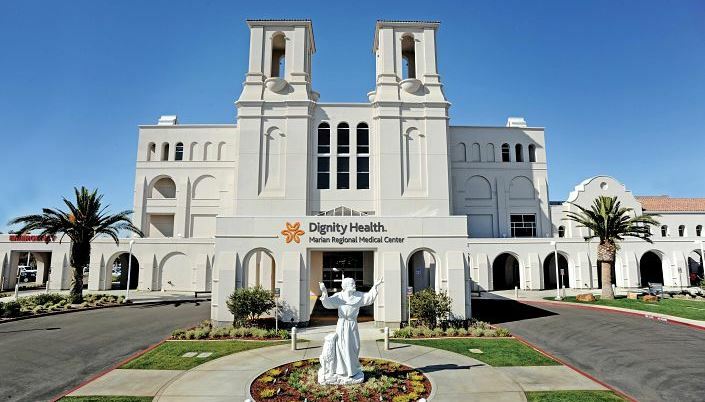 To contact Marian Foundation staff members, please call the office at 805.739.3595 or email MarianFoundationFeedback@DignityHealth.org.